Valley Program for Aging Services (VPAS), in partnership with the National Council on Aging (NCOA) and with support from the Walmart Foundation, has joined a nationwide effort to fight senior hunger by dramatically increasing participation by eligible seniors in the Supplemental Nutrition Assistance Program (SNAP). Senior hunger, often called America’s “hidden hunger,” is on the rise. Nearly 5 million adults over age 60 do not have consistent access to healthy food. SNAP is our nation’s most powerful and effective anti-hunger program, but it is highly underutilized by older adults. The U.S. Department of Agriculture estimates that only 2 out of every 5 seniors who are eligible for SNAP are enrolled in the program. This means that millions of low-income elders are missing out on this vital program, which provides an average monthly benefit of $119 to help participants buy healthy food. This benefit could put adequate nutrition within reach for many seniors who are struggling to make ends meet. VPAS is one of 40 community organizations around the country that is stepping up its efforts to assist seniors in applying for SNAP. The organizations will use NCOA’s free online BenefitsCheckUp® Common Help web site to screen older adults with limited income for SNAP eligibility. The initiative aims to help at least 35,000 seniors enroll in SNAP this year. Volunteers will be educated about SNAP so that they can explain this benefit to adults 60 years and older who receive assistance at area food pantries, gather basic information about interested individuals and refer them to VPAS staff members who will assist them with SNAP applications. Anyone interested in volunteering to assist with this important effort may contact Kathryn Coit, VPAS Outreach Specialist or Debbie Branham VPAS Outreach Coordinator at 1-800-868-8727. “We’re proud to be part of a pilot effort that has the potential to help tens of thousands of low income older adults improve their health and financial security,” said Coit. 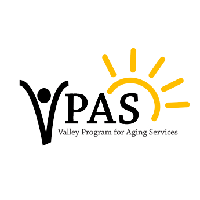 “VPAS has a strong history of helping seniors in need. We’re confident that increasing SNAP enrollment with BenefitsCheckUp® and other proven outreach methods will have a profound effect on lives of adults 60 and older in the VPAS service area (Staunton, Augusta County, Waynesboro, tool (www.BenefitsCheckUp.org) and Virginia Department of Social Services’ Harrisonburg, Rockingham County, Buena Vista, Lexington, Rockbridge County, Bath and Highland Counties)”. For more information on NCOA’s senior hunger initiative, visit http://www.ncoa.org/SeniorHunger.